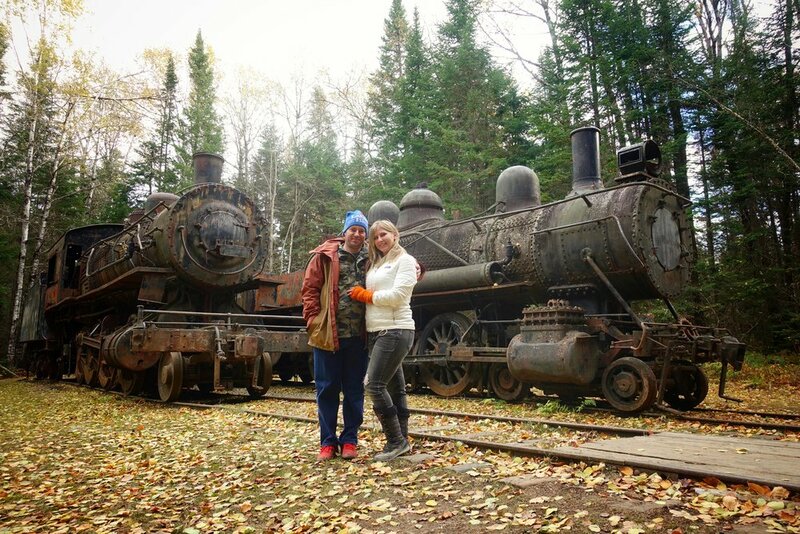 Deep in the north woods of Maine there are some very special locomotives. This past October Otto and I set out to find them. 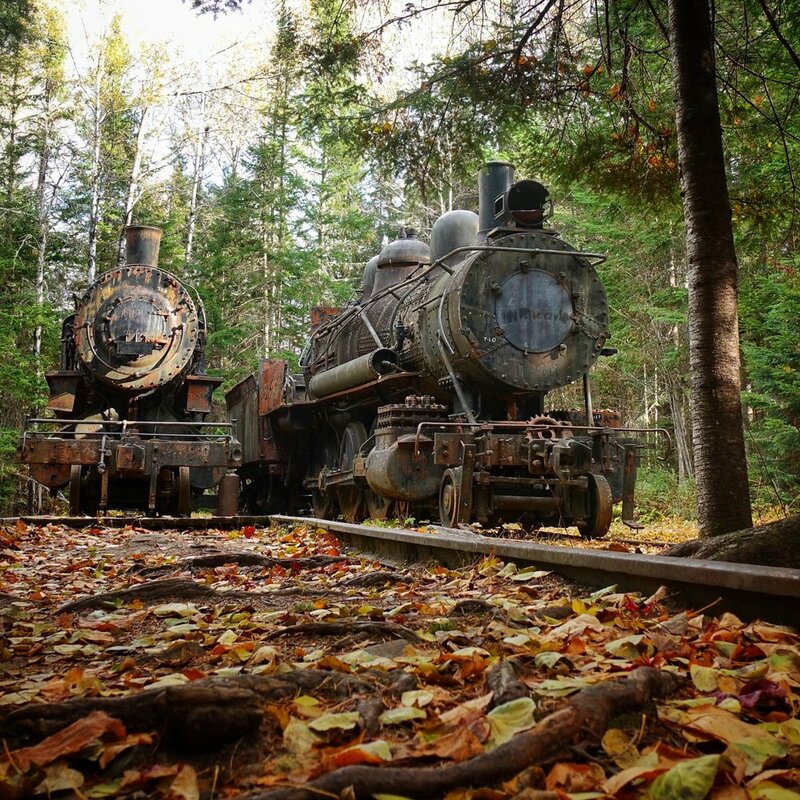 You might be wondering why these trains were just left in a remote part of Maine. Well, I cant explain the trains without first explaining the Tramway. So the tramway was a system of cable and track that was steam powered. 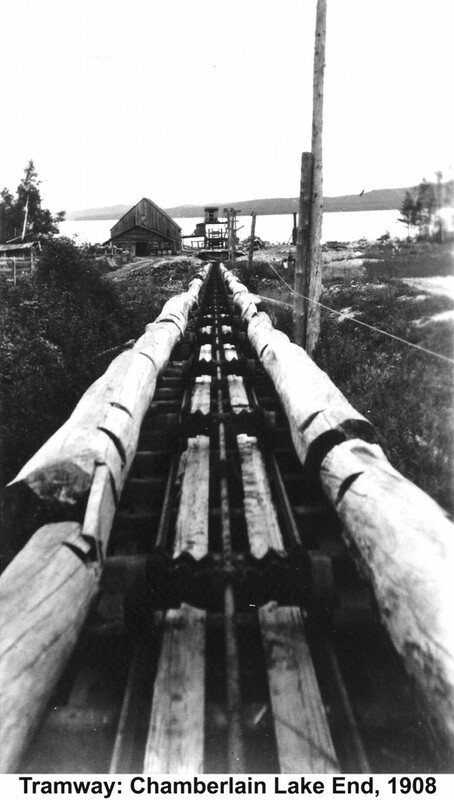 The loggers back then used waterways like lakes and rivers to move logs. They needed to move the logs from Eagle lake, in the north, to lake Chamberlain, in the south, - a distance of about 3000 ft. They used Oxen to do this for years but finally in 1902 the tramway was put in to make things a bit easier. The red line on this image shows you where the tramway was put in prior to the railroad. This system worked for a while but it was painful because the lakes ran north and they needed the logs to go south. This is when the idea of the railroad was born. Edward “King” Lacroix a lumber baron, took on the challenge of developing the railroad. 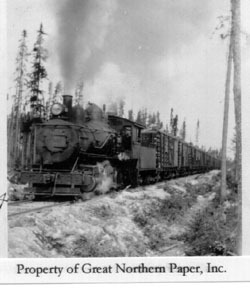 First he bought the used locomotives in the winter of 1926 and had them delivered to Lafontone Quebec where they were then partially disassembled and taken by truck out to the north woods of Maine. They were transported on ice roads and assembled on site. The 13 mile rail was put in and the railroad was fired up in June of 1927 but there was a few kinks. Just like buying anything used the locomotives were no different. I was able to find a letter that the President of GE, presumably the company that sold Lacroix the locomotives, where he was responding to Lacroix reporting leaking tubes and a broken steam pipe - and saying that it wasn't their fault. Ah some things never change. In that letter it is also noted that they were modified from coal burning to oil burning. General Equipment’s letter to Lacroix informing him that his complaints about the conditions of the locomotives were due to how he was using them (and repurposed them to burn oil) and that they [General Equipment] couldn’t help him. The locomotives, each with 15 cars ran day and night, it went so well in fact they extended the line another 5 miles a little while later. Things were good, at least for little while. Then 1933 - the great depression hit. Demand for paper decreased significantly, most paper back in these days were used for news papers and people stopped buying them. 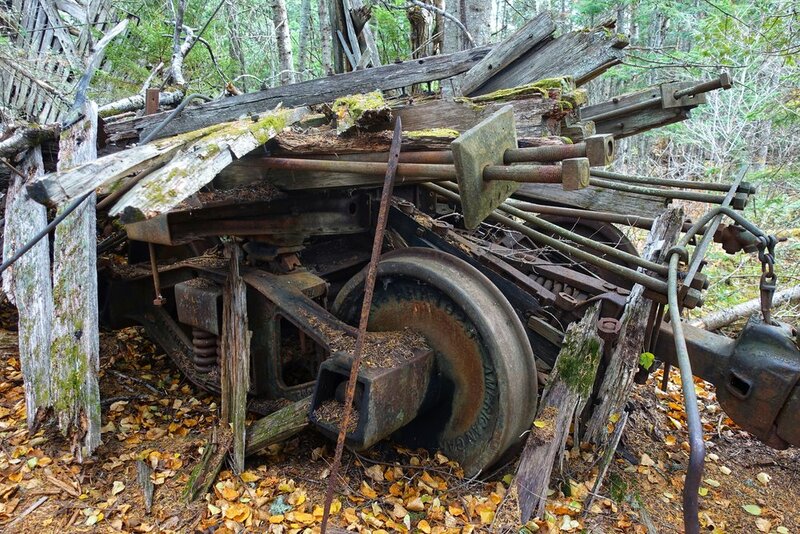 The locomotives were parked in a shed - never to be moved again. 1966 footage showing the overgrowth and buildings prior to the 1969 fire. Trains in a shed prior to the fire. That shed (pictured above) was accidentally burned down in the 1969 by the park service (a story I don’t have more information about). Then, left to the elements, the locomotives started to succumb to nature. Before the completion of the 1996 restoration of the tracks. They started to lean so bad many feared they would soon topple over. 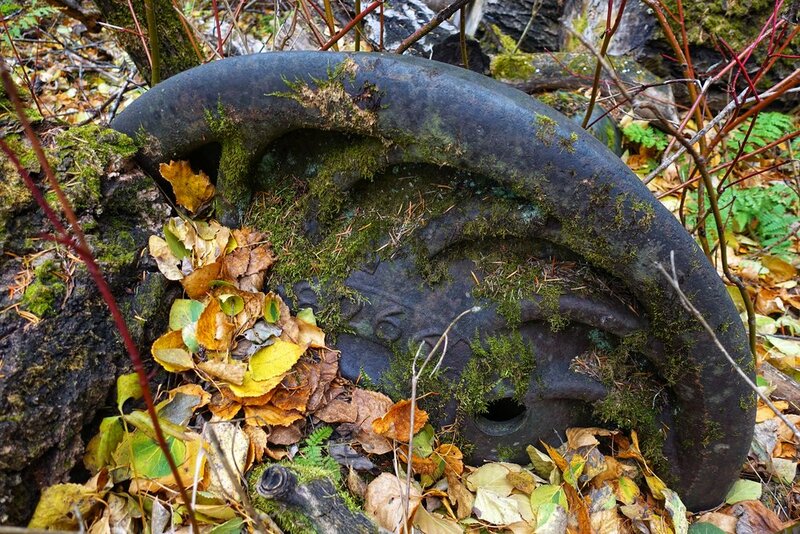 That was until 1996 when the Bureau of Parks and Lands and volunteers from the Allagash Alliance came in, jacked up the train, and rebuilt the railroad tracks underneath it. This project took over 3 years to complete. 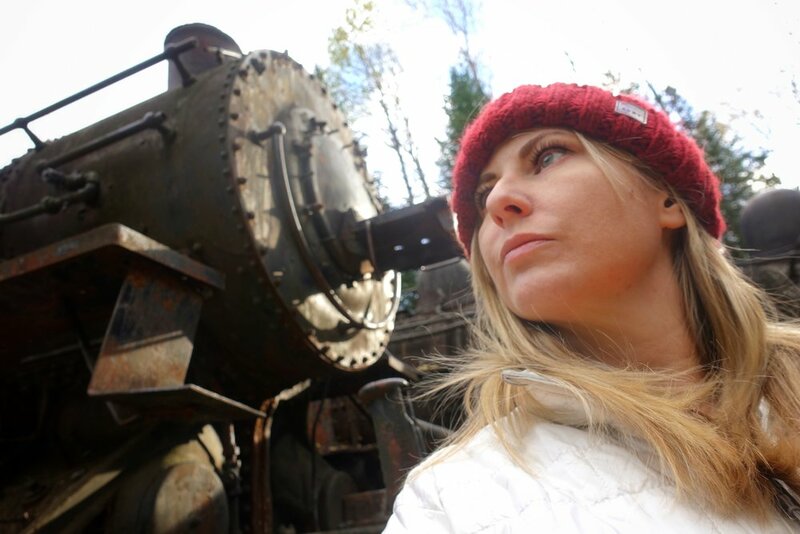 Im so thrilled I visited these historic locomotives. It was a one of a kind experience ill never forget. Please comment below or on my youtube video. Thanks!